Jackie Burns has played Elphaba, the green witch in the Broadway hit "Wicked," more than 1,300 times. This week, she returns to the cast in San Diego. Actress Jackie Burns has worn green make-up on stage, belting the hit Defying Gravity, as the green witch Elphaba more than 1,300 times over the years. As the longest-running Elphaba on Broadway, Burns has had the chance to grow familiar with the character. "Wicked" takes a look at what happened in Oz, from a different angle, long before Dorothy arrived. This week, Burns returns to the role of Elphaba on the "Wicked" tour in San Diego. She will be joined by Kara Lindsey, returning to the role of Glinda, and Michael Wartella, returning to the role of Boq. It's a dream role, Burns said, and she has enjoyed every minute of it. "Being a part of a blockbuster musical that features two women playing truly iconic roles has been and continues to be a huge honor," Burns said. "To play this role is pretty much every actress's dream." Burns' return to the musical on tour coincides with the 15th anniversary of the show on Broadway, marked by an NBC special airing at 10 p.m. on NBC 7 San Diego: "A Very Wicked Halloween." 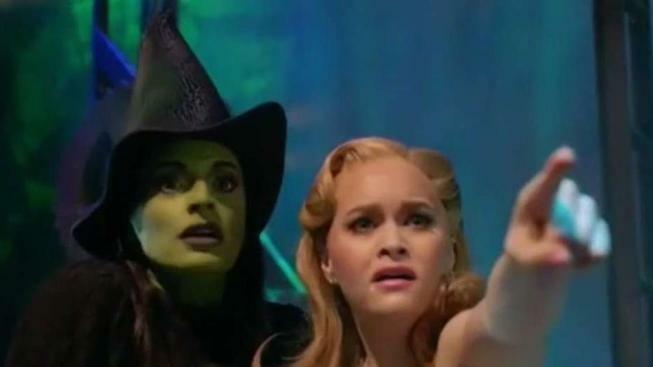 The musical special will feature the original Elphaba and Glinda, Idina Menzel and Kristin Chenoweth, as well as a series of other special guests. The green make-up, which takes about 30 minutes to put on before the show and 15 minutes to take off, feels more like a second skin to the leading lady this time around. "When I first started playing the role I was much younger and it was a bit intimidating. However, every single time I perform as Elphaba I learn more about the character," Burns said. "Her idiosyncrasies, her strengths and weakness and overall the specific nuisances of the role." "Wicked" runs at the San Diego Civic Theater in Downtown San Diego from Oct. 31 to Nov. 25. Tickets available here.